Photos by Evelyne Vandersande and Jim Southwell. Click each to enlarge. If you visit the Placerita Canyon Nature Center right now, you will be welcomed by the noise of jackhammers and a busy team of workers handling concrete and new electrical wiring. Outside on the trail, nature is always beautiful and peaceful, and the autumn foliage shines in the golden light. So my recommendation is to use the trails but walk quickly though the courtyard. What is going on? The new Interpretive Center is taking shape. If you visited before summer of 2009, you'll remember the original museum. The "Nature Study Center" was dedicated in November 1971, but the museum was created by the American Association of University Women, who also founded the docent organization. They were the ones who got the funding from large corporations such as Richfield Oil. At the time, the museum was actually rather sophisticated, and natural history teachers at College of the Canyons would visit yearly with their classes. Some of the exhibits were quite high-level in their explanations — and were confusing to both youngsters and the general public. Some were so technically complex that they never worked, even from Day One. So, up to recent times, the museum was classy, if outdated. All was running on its normal course until the floor needed some repair. To effect the repairs, the old exhibits had to be taken outside. This trip was fatal. The old display cases felt apart and had to be discarded. Members of the Placerita Canyon Nature Center Associates were heartbroken but not defeated. We tried to show educational items in some donated display cases, but it was an amateurish effort at best. The Nature Center was going to be renovated; the docents had been accumulating money for many years in the hope of redoing the museum. Maybe now was the time? At that point, "museum" did not seem to be our objective any longer. We wanted an Interpretive Center. 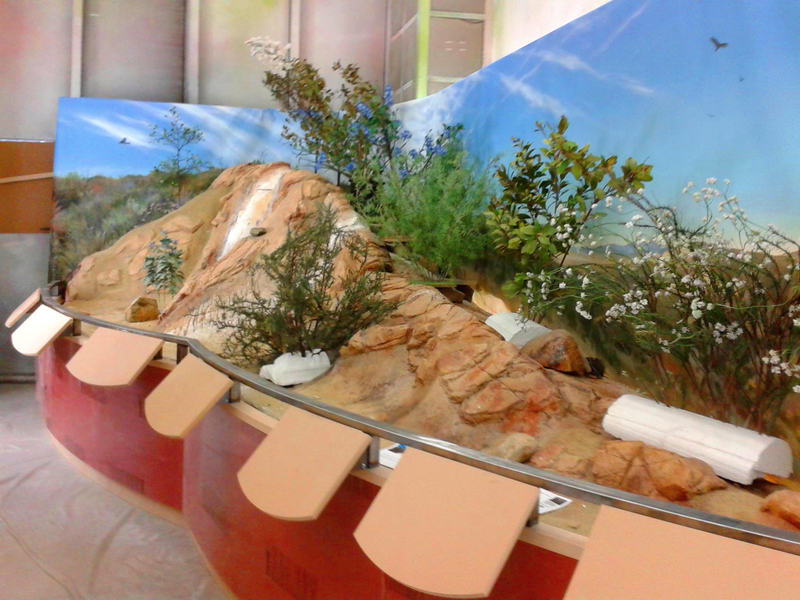 "An interpretive center is an institution for dissemination of knowledge of natural and cultural heritage." How perfect for a Nature Center to be a place designed to stimulate the discovery process and establish a connection for our visitors with the nature they are going to discover outside. Meetings were held and museum design companies solicited by the docents. Soon we got three bids for a more modern conceptual design. We had a competition between the two finalists and selected the best company, based on price and past performance. We awarded a contract for $35,000 to a GGE of San Francisco. The first phase was to establish what the museum would be for — its purpose — and what the exhibits would look like — the implementation. We had hundreds of suggestions from the public, which were slowly refined to something manageable. Phase 1 of the conceptual design was completed, including artists' renderings of the exhibits. 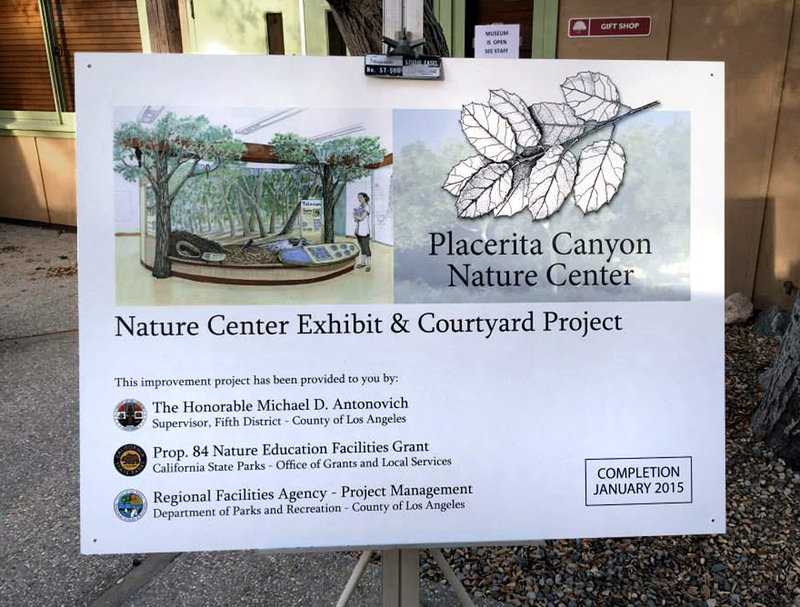 The county parks staff for the Placerita Canyon Nature Center applied for a State Parks grant for the museum project, based on the conceptual design approved by the docents. Subsequently, the L.A. County Department of Parks and Recreation was granted $1 million for the museum project. At the same time, L.A. County Supervisor Michael D. Antonovich found out the docents lacked sufficient money to go further than the design phase for the museum — but they were willing to do a lot of fundraising to make their dream come true. You can only imagine the degree to which the docents were surprised, grateful and overjoyed to receive an allocation of $1.1 million from Supervisor Antonovich to complete the project started by the docents, and make the construction possible. We have always enjoyed Supervisor Antonovich's support and friendship. He often participates in docent "graduations" or sends a representative. He enjoys coming to the park to use the equestrian trails — but this generous response was beyond our wildest dreams. 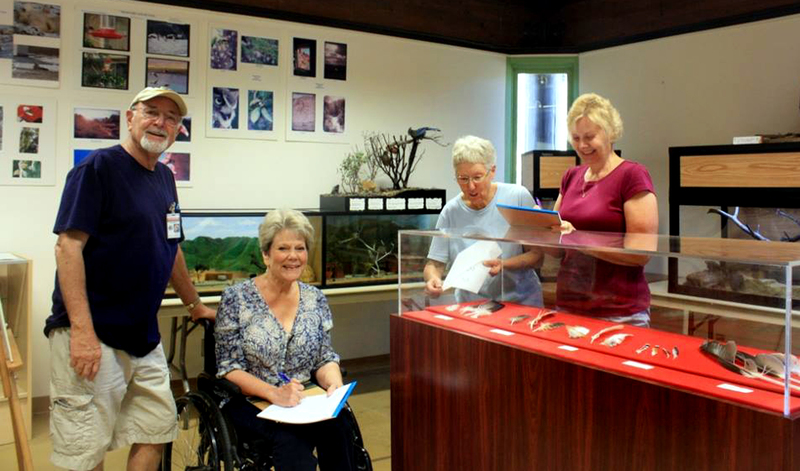 The county Parks Department requested and received rights from the docents to all conceptual materials and took over the management of the museum project using the state grant and the allocated county funds. The parks staff spent many months negotiating a budget and a statement of work with a company called Delphi (which had merged with GGE) to get final approval from the Board of Supervisors. The county assumed construction management of the patio portion of the project while Delphi proceeded with the Interpretive Center exhibit design and construction. Both the patio and Interpretive Center exhibit projects are scheduled to be completed by January. Those are a lot of facts to take in, but it's important to have them recorded somewhere so that years from now, when we are old and gray and our memories start to fail, we can revisit the source and figure out how it all went. I want to thank Jim Southwell, president of Placerita Canyon Nature Center Associates, who helped me keep track of all of the events in chronological order. Thank you to PCNCA Vice President Ron Kraus, for your help with some dates. I also want to thank the museum committee which spent so many hours proposing, correcting and making sure all would be accurate in the Interpretive Center. I want to thank everyone who worked at making this dream a reality. And I want to thank all our future visitors who will come to Placerita to see what the commotion is all about. I hope you will enjoy your visit, that you will be pleased with the new Interpretive Center, and that Placerita will shine even brighter in your memory. 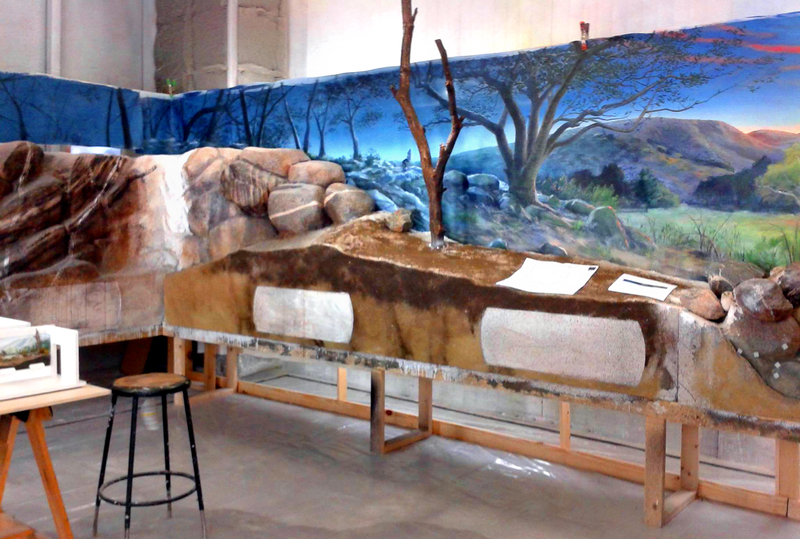 Evelyne Vandersande has been a docent at the Placerita Canyon Nature Center for 28 years. She lives in Newhall. 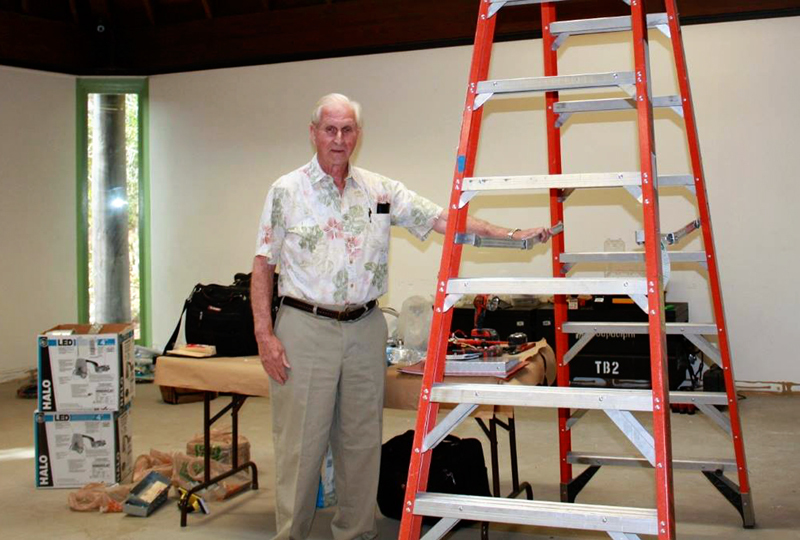 Jim Southwell, president, Placerita Canyon Nature Center Associates.